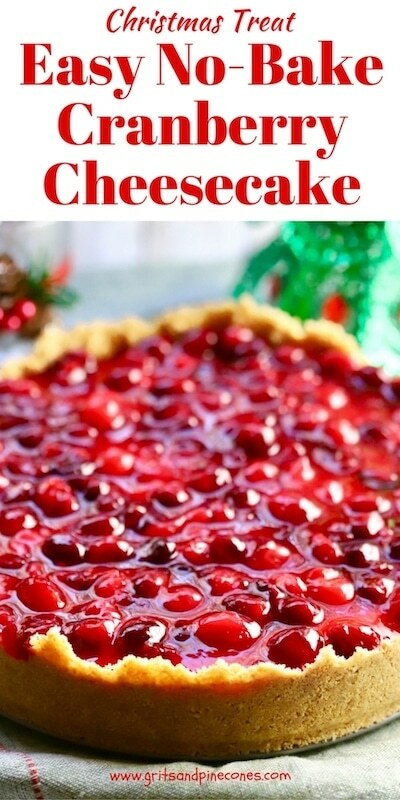 I have the perfect quick and festive Easy No-Bake Cranberry Cheesecake recipe for you today. Loaded with fresh cranberries and luscious cream cheese, this delicious and decadent make-ahead cranberry cheesecake is perfect for the holidays and would look spectacular on your Thanksgiving or Christmas dessert table. It seems as if there is never enough time during the holidays to get everything done and this recipe is a real timesaver! Although it takes less than 20 minutes to make, this Easy No-Bake Cranberry Cheesecake looks like something you could have slaved over for hours and is sure to bring on the compliments and lots of happy smiles. 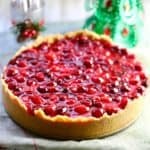 Easy No-Bake Cranberry Cheesecake is reminiscent of the retro cherry cream cheese pie that was so popular many years ago, with cream cheese and sweetened condensed milk. 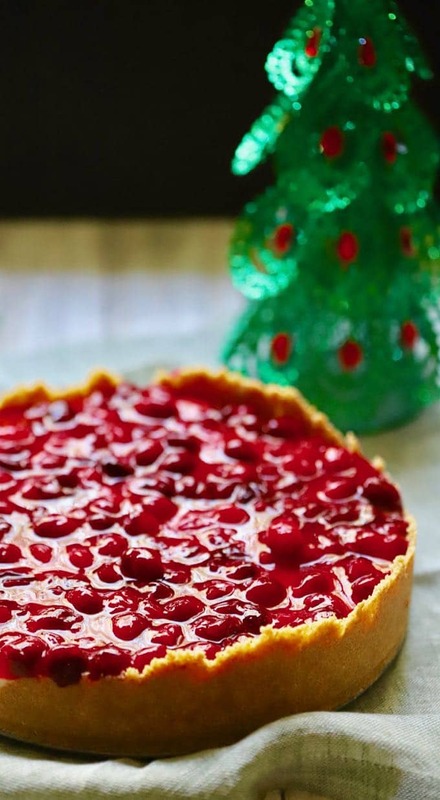 In this recipe, fresh tart cranberries combined with cream cheese, sweetened condensed milk, and a crunchy graham cracker crust is a match made in heaven, and it’s not quite as sweet as the classic cherry cream cheese pie. To make Easy No-Bake Cranberry Cheesecake, you will need: fresh or frozen cranberries, granulated sugar, cornstarch, graham cracker crumbs, unsalted butter, kosher salt, cream cheese, sweetened condensed milk, vanilla extract, and lemon juice. Combine 1/3 cup of sugar and 1 Tbsp cornstarch in a small saucepan over medium heat. Mix well. 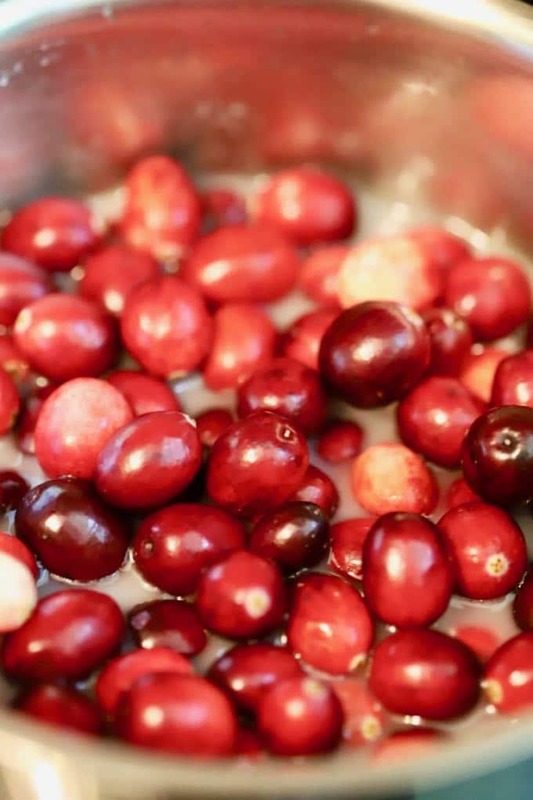 Add 1/2 cup plus 2 Tbsp cold water, and 2 cups fresh or frozen cranberries. Stir to combine. Bring to a boil and reduce heat to low. Simmer for 10 minutes, remove from the heat and set aside to cool. 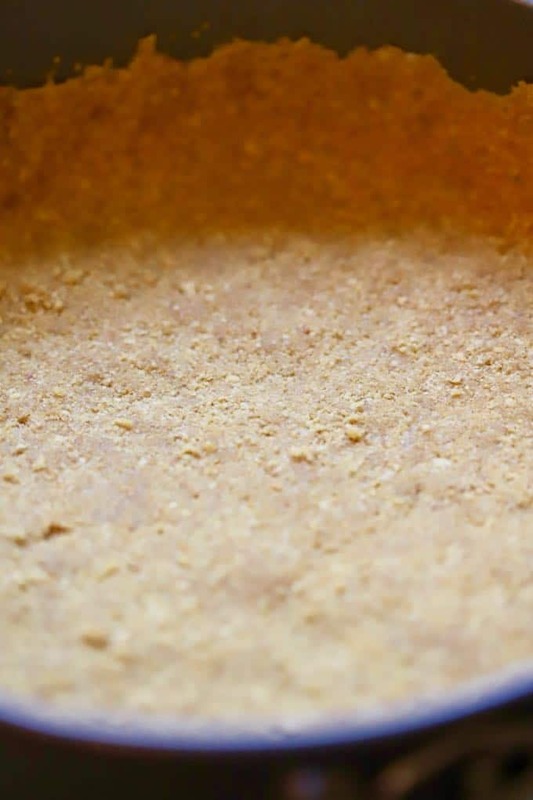 Combine graham cracker crumbs, sugar, salt, and butter in a large bowl. If using salted butter, leave out the salt. Mix to combine everything. Press the graham cracker mixture into the bottom and up the sides of a 9-inch springform pan. Place in the refrigerator to chill while you make the cheesecake filling. 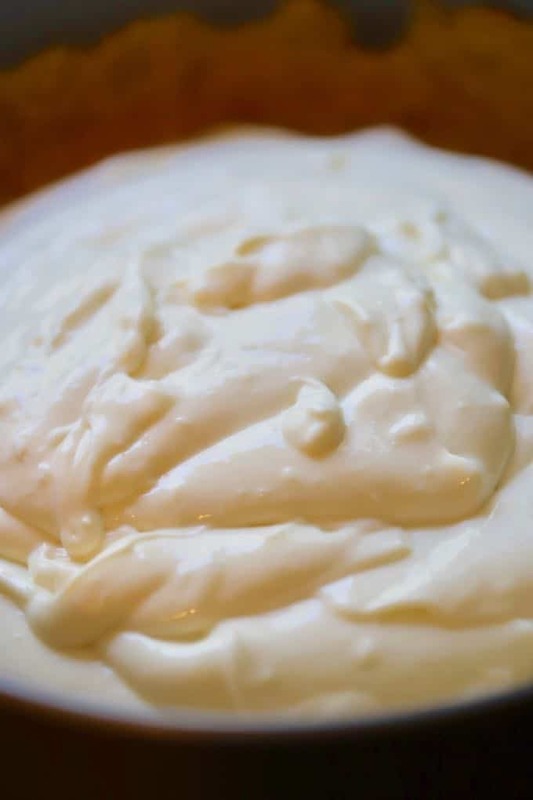 Add the cream cheese to a large bowl and beat with an electric mixer for a few minutes or until it is smooth, light and fluffy. Add the sweetened condensed milk, vanilla extract, and lemon juice and beat until the mixture is smooth with no lumps. To assemble the cheesecake, pour the cream cheese mixture into the pie crust. Smooth out with an offset spatula. Top with the cranberry mixture and carefully spread out evenly. Cover and refrigerate for at least 4-hours and serve. 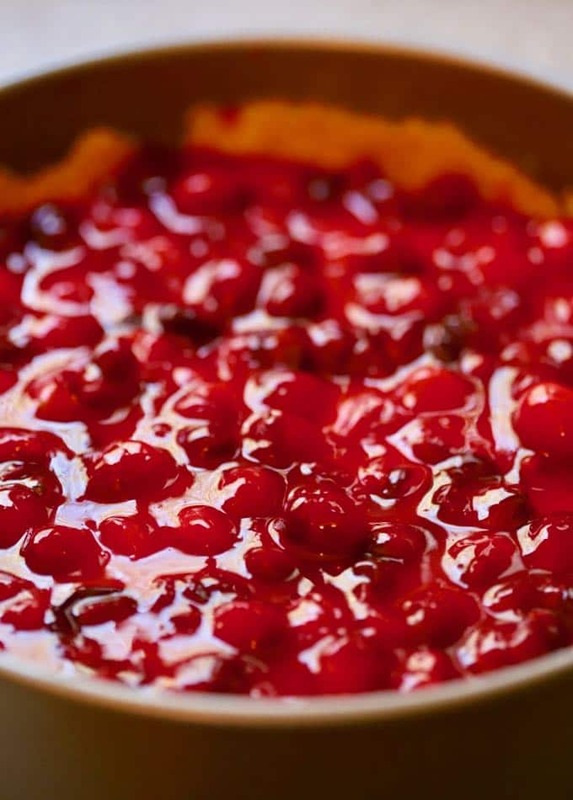 Notes: You can also make Easy No-Bake Cranberry Cheesecake ahead and store up to 2 days in the refrigerator before serving. Easy No-Bake Cranberry Cheesecake is delicious and loaded with fresh cranberries and luscious cream cheese. It's a perfect make-ahead Thanksgiving dessert! To assemble, pour the cream cheese mixture into the pie crust. Smooth out with an offset spatula. Top with the cranberry mixture and carefully spread out evenly.